CHALLENGING RIDE: Bucking bull Let's Rock will make it difficult for Cowboys. Is this the fiercest bull in Gympie? 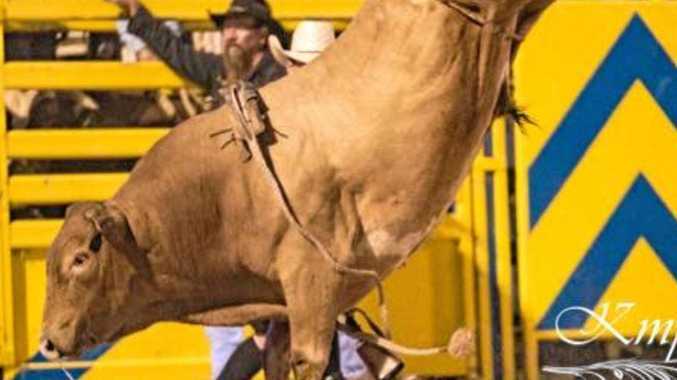 Rodeo: The Kings bulls will be bucking to go, with their bull of the year Let's Rock ready to entertain at the annual Gympie Bull n Bronc next month. 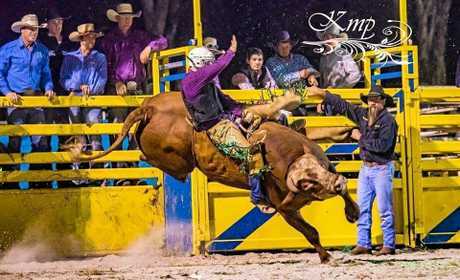 Gympie cowboy David Mawhinney said he was excited the Kings' bucking bulls would be in action. "They have the current bucking bull of the year Let's Rock and a good roll-up of competitors like Jack McArthur,” he said. "I have only ridden him (Let's Rock) a couple time and fell short. To draw him would be a good challenge. Stock contractor Kerri King said Let's Rock was not the typical bucking bull. "He is not the toughest but the cowboys all want to ride him,” King said. "He's straight out and a good honest bull who is nice to ride. At King's property there are about 100 head of cattle which are separated into paddocks. 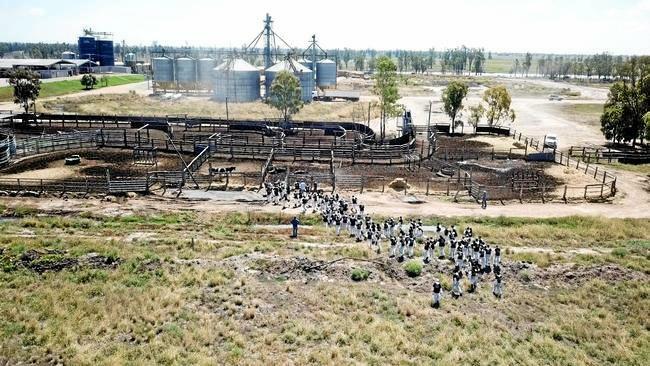 "They are divided in paddocks with who they get along with and fed every morning,” she said. "I hand feed them all but there is always an escapee. They just wander around because we have cows and they try to get through the fence to the girls. There are a few imported but about half are home bred. "When the bulls are 12-18 months old we put a bucking dummy which is an electronic device,” King said. The bulls prepare with a rope around their flank. "The rope is meant to make them buck but ours have gone into the arena without it and they still buck,” she said. Gympie Bull n Bronc will roar back to Gympie on Saturday, February 9, at 4pm. The bulls n broncs will not be the only feature of the night. The final of the barrel racing will be held. The action will start about 5pm at the Gympie Showgrounds and the gates will open at 1pm. Buy tickets online at gympietickets.com.au/event/bull-n-bronc-2019-8275.